Last year Microsoft announced that it was opening that Xbox up for cross-network play. The idea of Xbox, PlayStation, and PC users being able to all play together in the same game had been percolating for years. Crossing Xbox One with Windows 10 was a no-brainer, but getting others on board would require participation from other platform creators like Sony. At first, Sony sounded open to the invitation. In a statement given to Gamespot, the company indicated that cross-platform play was a possibility. While falling short of commitment, Sony at least seemed interested in entertaining the idea, but that was in 2016. This week at E3 2017 it was announced that both Rocket League and Minecraft were incorporating cross-platform play. The games will now host players on Xbox One, Nintendo Switch, Windows 10, and even macOS. 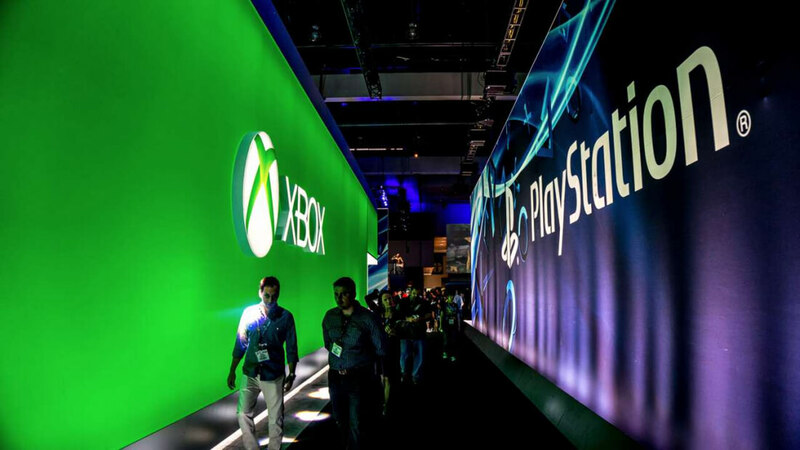 However, Sony will not be participating in cross-network play. In an interview with Eurogamer, the head of marketing at PlayStation, Jim Ryan defended the company’s decision to block play across platforms. Ryan insists that the decision was in the interest of younger players. Sony’s excuse is noble, but there are a few holes in the “we are just protecting the kids” argument. The most obvious come straight from SCEA’s Terms of Service statement for the PlayStation Network, which informs users that they “must be an adult of legal age in the country in which [their] account is registered" (18 years old in the U.S.). If they are not an adult, a legal guardian must accept the terms of Sony’s “contract.” The company must obviously protect itself in the event that a youngster becomes exposed to adult content or language, hence the very specific clause. Anyone who has played an online game for more than 30 minutes knows that the kids playing who are obviously under 18 are usually more foul-mouthed than the adults in the session. It is the nature of the beast and happens on PSN as much as it does on any other online network. What is Sony trying to protect the kids from that occurs on other platforms that does not happen on its own? Furthermore, every game that has an online component has an ESRB disclaimer that states: “Notice: Game experience may change during online play.” Since this is a warning from the Electronic Software Rating Board, we know that they are not referring to lag or something technical. They are specifically pointing to the use of profanity over the network. Sony’s excuse seems weak when you take these points into consideration, but that leaves the question, why else would they block cross-platform play? Having cross-network play on the PlayStation is not technically challenging. Psyonix claims that it could have Rocket League for PS4 supporting cross-platform in under an hour if Sony agreed to allow it. So, that is not likely a cause for the blockage. The Verge theorizes that Sony has an advantage over Microsoft right now in that it is selling more units per month than the Redmond company. While cross-platform play can only help Xbox, it does not hold the same economic attraction for PlayStation. I am not sure that I entirely agree with that theory because I have plenty of non-PlayStation friends, but the Verge is right in that allowing the intermingling of networks poses no real advantage to Sony at this time. However, all is not lost for those PS4 users who would like to see this feature. Jim Ryan told Eurogamer that Sony is still open to the idea and is willing to have discussions about it, but currently, there are no ongoing conversations within the company, with Microsoft, or anyone else regarding cross-platform play.